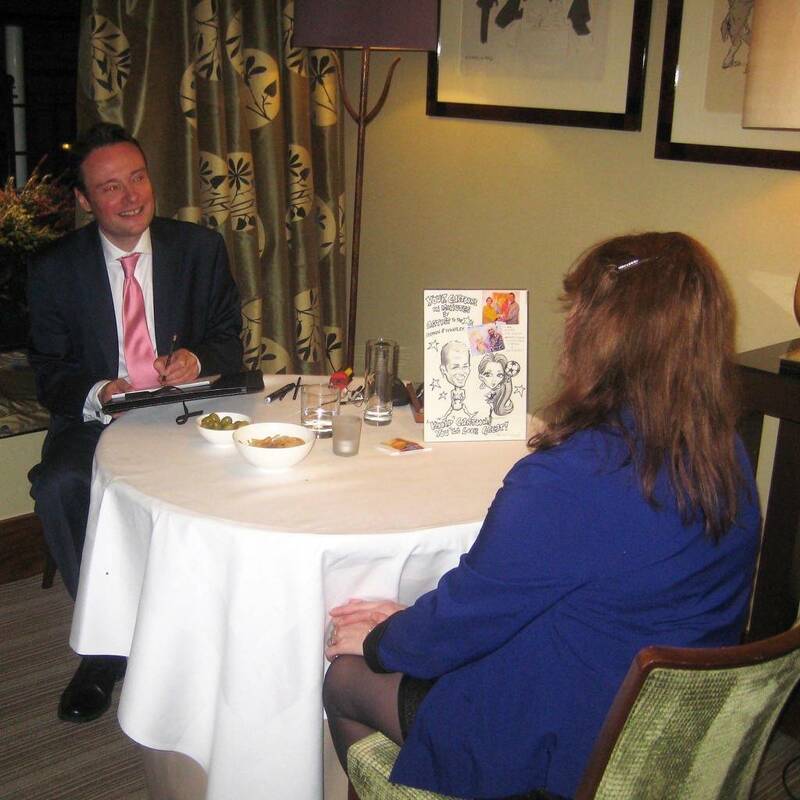 Artist Stephen will make your event truly special! Always friendly, warm and charming he immediately puts guests at ease and within minutes, animated with fun and smiles, is creating a fantastic cartoon portrait that brings joy and happiness! 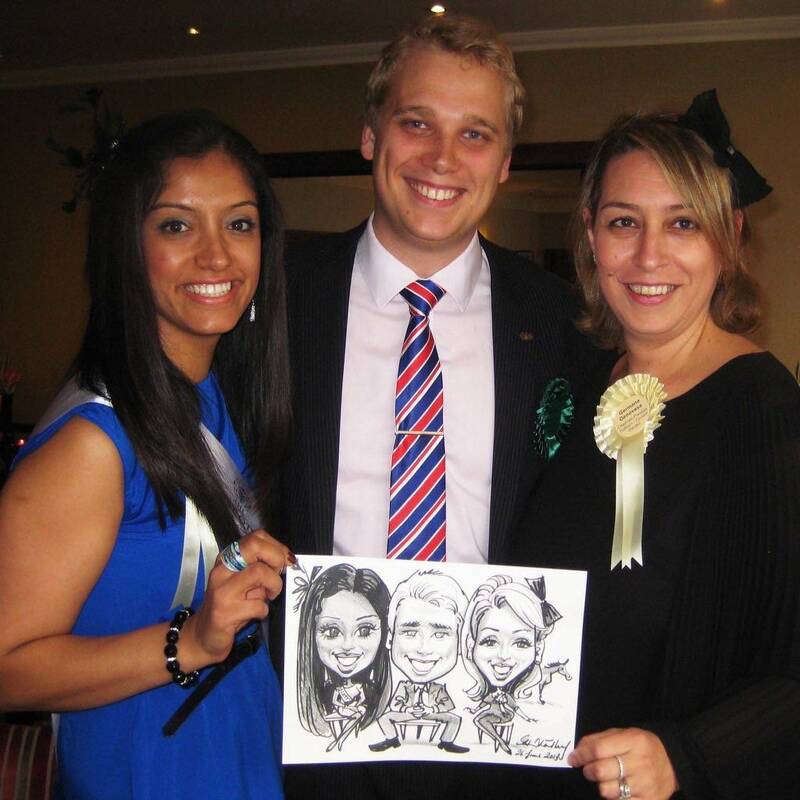 Your guests are left uplifted and overwhelmed – not cringing – for unlike the traditional caricaturist, Stephen highlights everyone’s best qualities in a vibrant fun way! His work is a fabulous addition to your party or event and a lasting reminder of the celebration long after the party is over. Guests treasure these original art works and always get them framed! The added bonus to hiring Stephen is that this is an artist with quite a history! Not only is he a cartoonist but a professional painter of Expressionist oils. 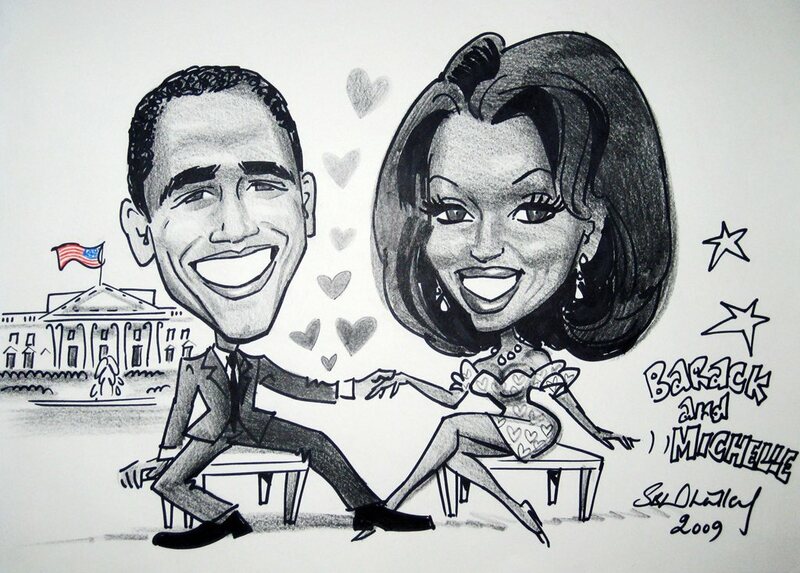 Not only are his cartoons in the homes of several Hollywood legends, but many celebrities have sat for a portrait painting including Julie Walters, Barbara Windsor and Sarah Greene. Stephen has also undertaken commissions for both the BBC and the Royal Collection of Queen Elizabeth II. In fact, there is even a permanent public show of his work in London: his 30 paintings, commissioned for the Tower of London are reproduced throughout Tower Hill Underpass, that leads the public from Tower Hill Station to the Tower. Give your guests the wonderful opportunity of joining the stars by owning the most delightful & unique gift of art – by which they will never forget your event! 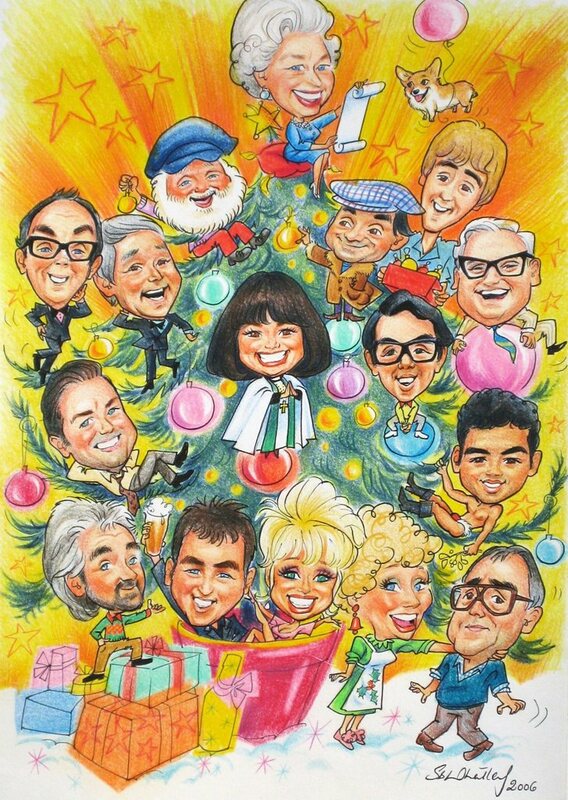 Barbara Windsor MBE, after commissioning a cartoon Christmas card.